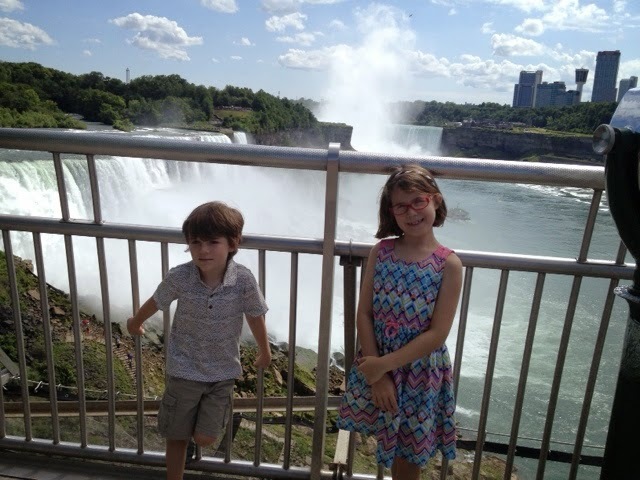 In all our NY travel, we had never managed to take the kids Niagara Falls until today. 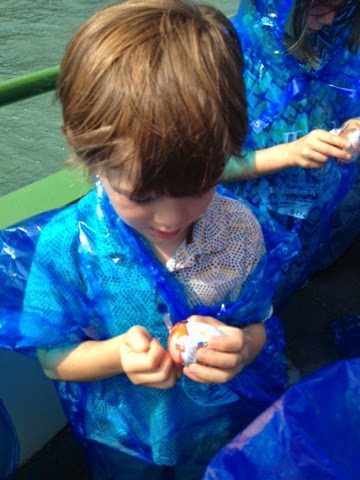 Lucky kids got to eat some Kinder-contraband while we waited for the boat to get going. 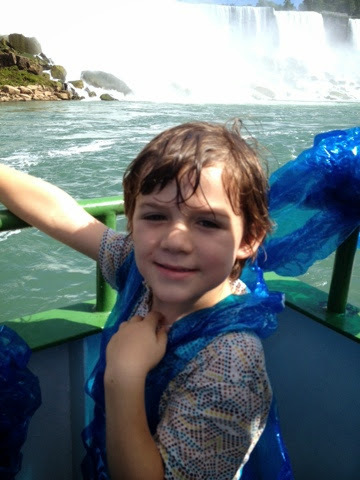 The soaking was quite thorough, so most of my pictures during the ride are on the water camera still, but here's one quicky iPhone shot of a happy soaked Porter. 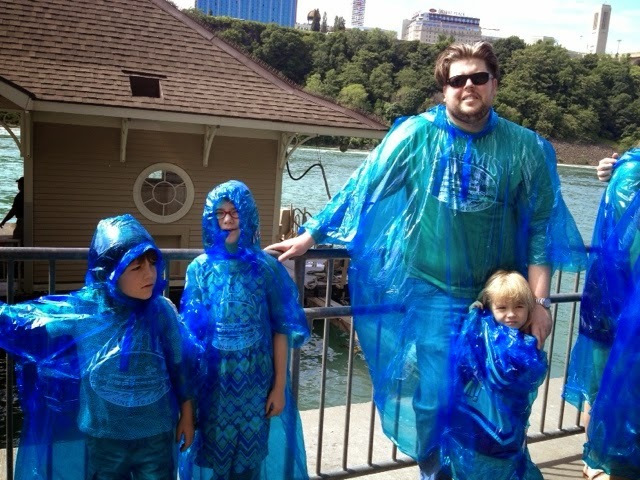 He was super excited to get wet and even took his poncho off for a while in an effort to get extra soaked. Once the water was coming in sheets, he relented and asked for the flimsy cover back! 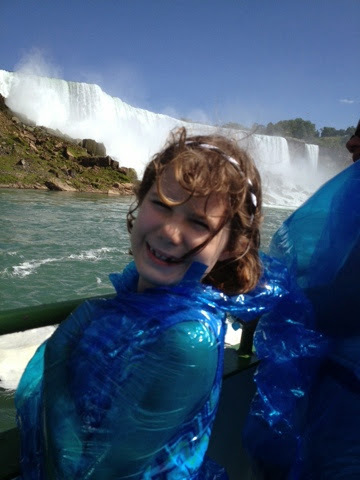 On the walk back to the car we found another bit of water play and they declared it as good as the boat ride. 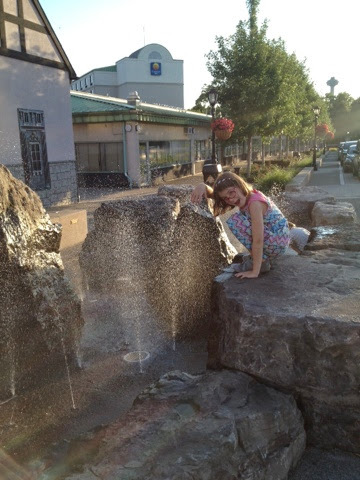 Any water play is good enough it seems.